While you're working hard to build your business, wouldn't it be great if you could be in lots of different places at once? Well, with a website you can. While you're occupied with stocks and suppliers, new customers can still find your company, view your products, email you, and place orders through your site. To help small businesses enjoy all these benefits, we’ve joined a new campaign called Getting British Business Online to offer you a free professional business website. GBBO is a joint initiative by Google, Enterprise UK, BT, e-skills UK and many other partners to help small businesses create their first website and help them understand the opportunities offered by the Internet. 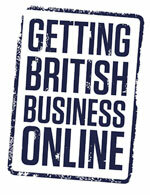 Read more about the Getting British Business Online initiative. If you already have a business website, why not take advantage of the free tools offered by our partners? They could be just the thing you need to make a few website improvements: you can attract new customers with a free listing on Google Maps; learn how customers are using your site with Google Analytics; and make it easy for them to buy online with PayPal or Google Checkout. There are so many things you can do to get new customers via your online presence. Creating Email Campaigns from your customer lists, setting up a Facebook Page, signing up for a Twitter account, regularly updating your website with ease, analysing traffic to maximise your return - these are just some of the way we can help you from today onwards. Contact 79nights today to get started on the next stage of your business's growth. We're official Partners of the initiative, here's our GBBO page!